Good news for fans of good films – good man and great filmmaker Edgar Wright has finished writing a sequel for his very good 2017 film, Baby Driver. The first film crashed into cinemas as a romantic-crime-thriller-musical-comedy-heist movie (of sorts). It may sound confusing, but all elements were handled with Wright’s expert directorial skill and flair, resulting in a truly entertaining, and original watch. There’s no doubt about it, the 44-year-old director has style. Just look at the brilliant Three Flavours Cornetto trilogy – Shaun of the Dead, Hot Fuzz, The World’s End – which are some of the best comedy films of recent years, if not ever. Then there’s Wright’s criminally underrated Scott Pilgrim vs. the World, which sees Michael Cera as the titular hero, battle seven evil exes to win the heart of Ramona Flowers, played by Mary Elizabeth Winstead. Again, it’s a stylish and very unique film. As a director in demand, Wright has had his hands full ever since he made a name for himself, along with Simon Pegg, Nick Frost and Jessica Hynes, with the brilliant Channel 4 comedy Spaced. Thankfully however, he’s found time to pen a sequel to 2017’s Baby Driver which, he says, ‘takes the story further’ and introduces a host of new cast members (something tells me Kevin Spacey won’t be returning for this one…). The first film starred Ansel Elgort, John Hamm and Lily James. The studio have asked me to think about writing a sequel and it is one of the ones that I might do a sequel to because I think there’s somewhere more to go with it in terms of the characters – Baby has got to a new place. Most sequels you have to contrive something so they go back to square one, unless there’s somewhere deeper for them to go. I think with Baby Driver there’s more that you can do in that realm, and I sort of have an idea that if you did another [film] you would subvert his involvement in the crime in a different way so he’s not the apprentice anymore. Don’t hold your breath for the sequel to arrive any time soon, however. 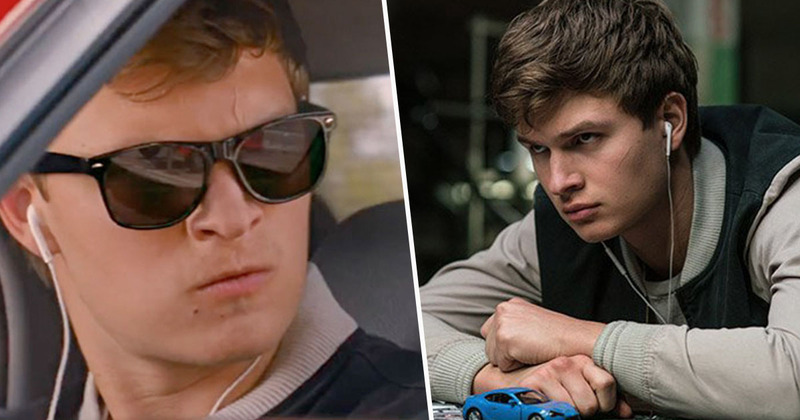 Wright conceived of the first Baby Driver film back in the 90s, and didn’t start properly writing it until 2010, so we could be in for a wait. In the meantime, Wright is continuing work on a documentary about the cult band Sparks which, if you know anything about the unconventional pop duo – brothers Ron and Russell Mael – it’s sure to be intriguing. As for the next Baby Driver, we last saw the character (spoiler alert) spend a few years in jail, before meeting up with Debora (Lily James) and – hopefully – going on a few adventures together. Can’t wait to see what the sequel has in store.